The Royal Navy’s entire fleet of attack submarines – seven nuclear-powered hunter-killers – is allegedly out of service due to ongoing repair and maintenance work necessary to prevent breakdowns, British media report, citing sources. UK Prime Minister Theresa May is said to have no clue about the problem because Ministry of Defence (MoD) chiefs “fear her reaction,” the Sun reported on Friday, adding that it is believed to be the first time in decades Britain has no fully operational attack submarines at its beck and call. “No one is being honest about the scandal,” a Whitehall source told the newspaper. While Vanguard nuclear-powered ballistic missile submarines (SSBNs) allegedly remain operational, as many as five of the fleet are having refits or maintenance after breaking down, sources claim. The new HMS Ambush is being repaired after hitting a tanker last year. Only HMS Astute is currently at sea, but is having trials after maintenance work, and is said to be “weeks” from being engaged in missions, sources claim. “We don’t comment on specific submarine operations,” a Royal Navy spokesman told RT. 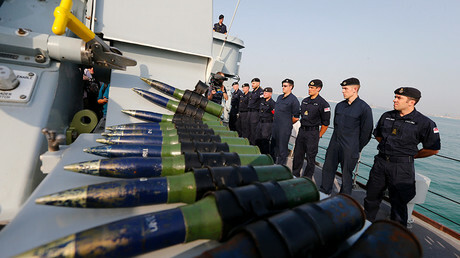 “Britain has a world-class fleet, the Royal Navy continues to meet all of its operational tasking, deploying globally on operations and protecting our national interests as Britain steps up around the world,” it added. The Times notes that Vanguard nuclear deterrent submarines are still there on missions. “But it is believed to be the first time in decades that Britain has no working attack submarines at its disposal,” the article reads. After a Trident missile, fired last year from a Royal Navy nuclear submarine off the Florida coast, malfunctioned and headed towards the mainland during a routine test, Whitehall ordered a “cover-up” to avoid “severe panic,” The Times reported last month. According to the newspaper, the Trident ballistic missile was set to be tested for the first time in four years by the HMS Vengeance, the fourth and final Vanguard-class nuclear-capable submarine of the Royal Navy, last June. The sub docked at Port Canaveral in Florida, the US base employed by the Royal Navy for final checks, before launching an unarmed Trident missile into the so-called“Eastern firing range” off the west coast of Africa. No news reports followed the test, and no usual “successful test flight” announcement was made at that time. 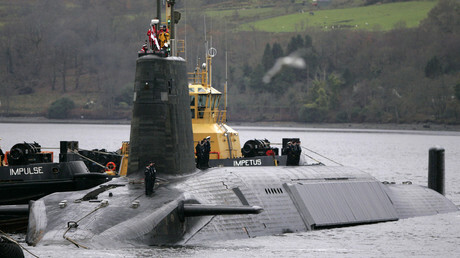 A navy source told the newspaper that “something went wrong” after the Trident was fired from the submerged submarine. The missile might have veered off in the wrong direction toward the American mainland instead of heading across the Atlantic, the source claimed. “There was severe panic that this test launch was not successful. Senior figures in military and government were keen that the information was not made public,” the source said. Britain’s Trident nuclear weapons program has suffered a skills shortage over the last decade, posing a serious threat to nuclear safety, a report from the MoD found last year. Research from the MoD’s internal watchdog, the Defense Nuclear Safety Regulator (DNSR), noted that staff shortages appear to be a “key strategic issue,” which requires attention to ensure continued “safe delivery” of the nuclear weapons program. 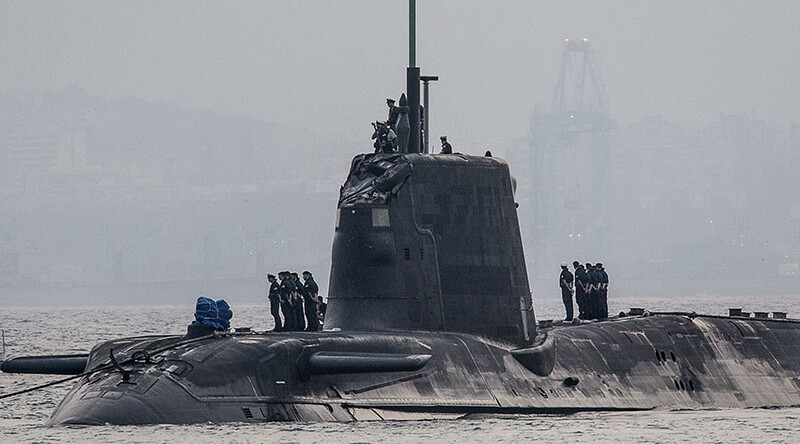 Among other things, the report highlighted the decision to prolong the lives of the Trafalgar and Vanguard class nuclear submarines because of delays in introducing the new Astute class and Trident replacement submarines. “Slippage to the delivery of key projects will necessitate the continued use of current facilities for an extended period,” it noted.